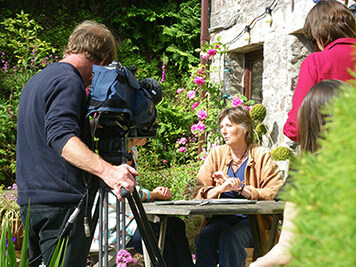 Aware of an increasing need for people to learn how to grow their own food, experienced organic gardener Bunty and film maker Alfie Hart of Aeolus Productions decided to record, in detail, an 18 month veg growing cycle from seed to harvest. Based in West Wales Bunty's half acre garden produces a huge variety and quantity of vegetables, fruit and herbs all the year round. The aim of the blog was to share her expertise through the internet, free to view, as a valuable resource in a video format. The initial response to the blog was tremendous and as a result this website has been created to access the information more clearly and view in HD. It also enables Bunty to Tweet regularly building up a forum/online community to share ideas and learn from each other.